I love hosting Weekend Herb Blogging. It’s so much fun to see so many creative uses for herb and plant ingredients from cooks across the globe. 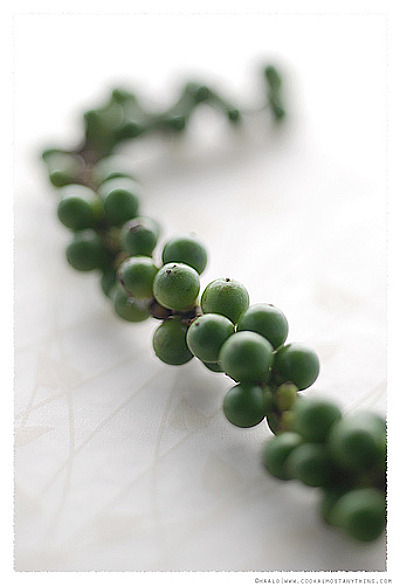 So without further ado, here’s the recipe roundup for Weekend Herb Blogging 230. 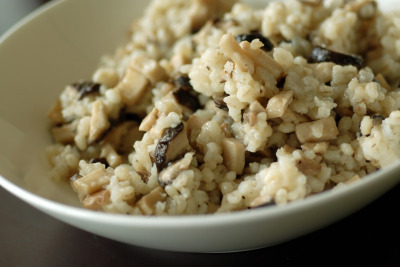 Janet from The Taste Space in Toronto, Canada shared this Oyster Mushroom and Barley Risotto. This dish is sure to be a hit with all you mushroom lovers out there. 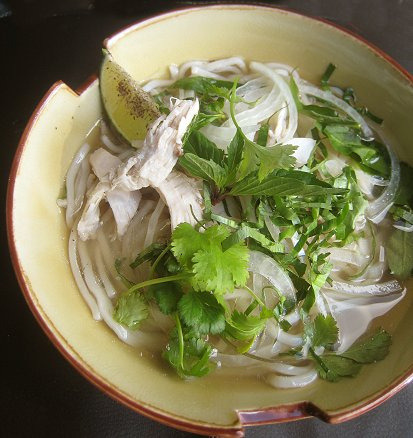 Sisters TS and JS of the blog [Eating Club] Vancouver in Vancouver, BC, Canada submitted a simple yet gorgeous recipe for Pho Ga (Vietnamese Chicken Noodle Soup) featuring Vietnamese herbs. 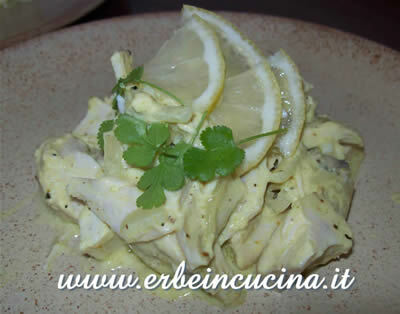 Graziana from Italy and the blog Erbe in Cucina (Cooking with Herbs) made this lovely (and I am sure extremely flavorful) Lemon and Coriander Chicken. 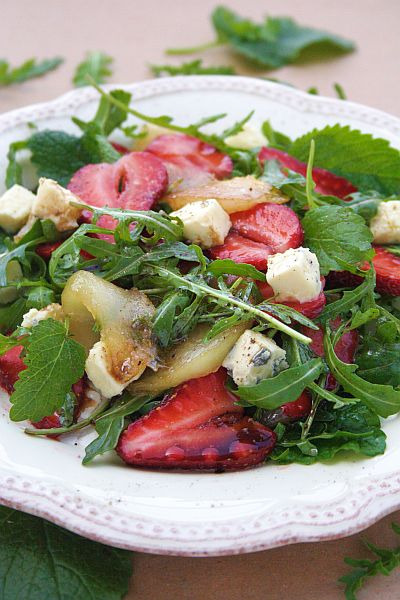 Marija from Palachinka created this beautiful sweet and savory Strawberry, Caramelized Pear and Blue Cheese Salad. 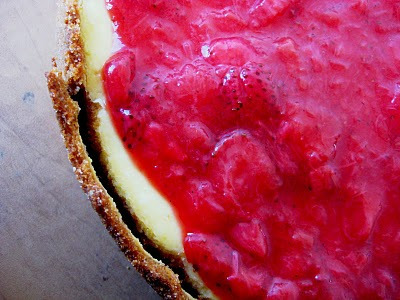 Joanne from Eats Well With Others in NYC also used strawberries, along with seasonal rhubarb. She submitted her amazing looking New York Cheesecake with Strawberry Rhubarb Topping. 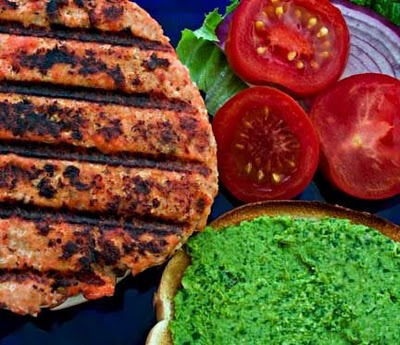 Laurie from Mediterranean Cooking in Alaska sent in these awesome Asian Salmon Burgers with Lime. Cilantro and Edamame Spread. Our wonderful WHB host Haalo from Cook Almost Anything made this incredibly interesting Fresh Green Peppercorn Sauce which she recommends over meats like steak and chicken. 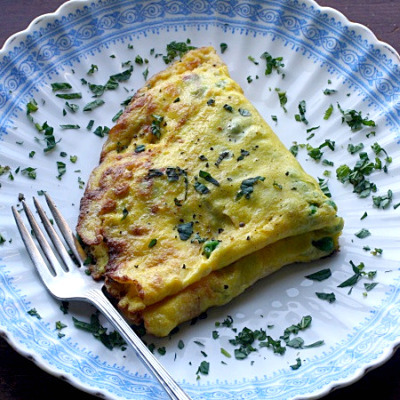 And finally, my recipe for WHB 230 was this slightly decadent spring-inspired Pea Omelet with Mint and Mascarpone. You can use fresh peas if you have them, but frozen organic peas work just fine. I really enjoyed putting this round-up together…thanks for your participation everyone! Janet from Tastespace is next week’s host, and you can find more info on Weekend Herb Blogging over at Haalo’s site Cook Almost Anything! It’s bedtime but this round up has got me hungry – thanks so much for hosting Winnie! Everything looks amazing! Great round up! Thank you, how many interesting recipes!